How many venues can truly offer exclusivity? Solent Forts Can. Get on board Spitbank Fort for Champagne receptions, corporate away days, unforgettable hen or stag parties, a secluded getaway, an incredible private party, or a truly unique wedding. Blow your guests away with an event they’ll never forget. Your exclusive use experience starts the moment you walk on to your own private boat. You, your guests and your own Fort Captain, Chef and Crew. No one else. 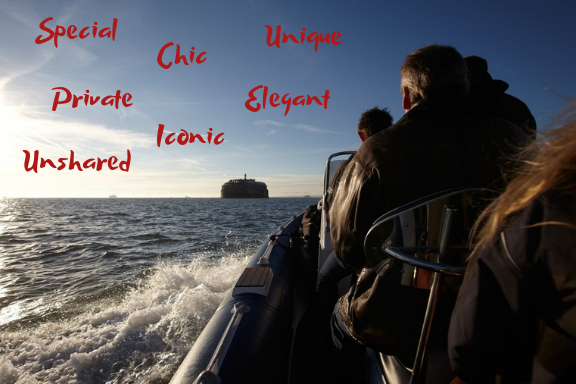 Spitbank Fort is the official exclusive use hotel, boasting 9 bedroom suites sleeping up to 18 people. Why not invite an additional 42 friends and family to join you for the day or evening? Available for exclusive use on its own or in conjunction with No Man’s Fort (additional 23 rooms). Our 24-hour exclusive use package offers endless options and flexibility too with entertainment packages available. If you are looking for any last minute or special deals, please fill out the exclusive use form on our website.